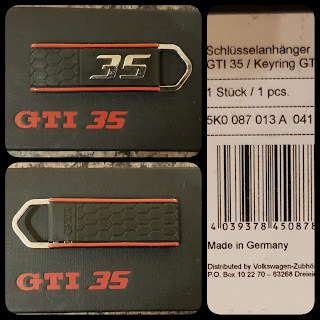 bought the infamous Edition 35 keyring ! added an additional '35' script to the rear of the car. You know anywhere that I’ll can buy these but in black?? replaced the front Dunlop Sportmax with Michelin Pilot Sport 4 , a far superior tyre in every way. and rolled up to 30k miles , which is 10k in 6 months of ownership! its getting used at least, just like the ED30 it proves how briliant these cars are as 'all-rounders' . I commute to work, have the odd b road blast, travel around the country and take stuff to the tip. being 5 doors its even easier too with 2 kids.